An Introduction to Covenant Bible Camp! ​It is my privilege to introduce you to North River Covenant Bible Camp. In our remote corner of the world, our camp is simply known as, 'Bible Camp.' Bible Camp is located on the North River, roughly ten miles from Unalakleet, Alaska. Bible Camp serves over four hundred campers each summer ages nine to twenty-five and several hundred more adults. Campers come from over thirty different villages all over rural Alaska, though most campers hail from the Norton Sound, Yukon Delta, NANA region, and Kobuk area. Though the Camp is owned an operated by Covenant Youth of Alaska and the Alaska Conference of the Evangelical Covenant Church, each summer we collaborate with several denominations, churches, and ministries throughout the state. 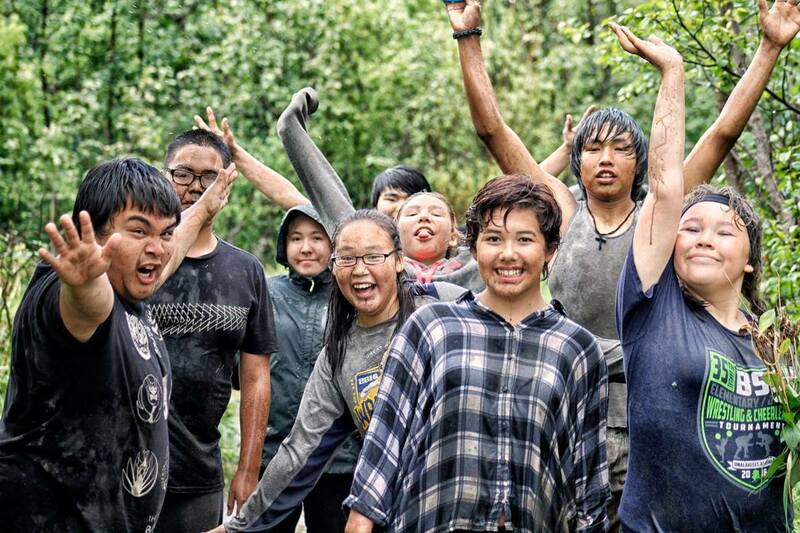 Bible Camp exists to serve the young people of Western Alaska through four ways: Being Together: Bible Camp is a place where we gather to enjoy fellowship with one another. Everyone is welcome. Worship: We gather as a camp to worship God every day at morning and evening chapel. Campers engage in worship and have opportunities to develop their abilities to share their faith in testimonies, pray, and read the Scriptures. Play: Every morning and evening we play really fun games and laugh hard. Serve: After every meal, campers and staff work together to do chores to keep camp going. For many campers this becomes one of the favorite times of bonding as a cabin. A lot of other things happen at camp too. We eat great food, go on adventures, have some free time and enjoy different activities. Campers hear and often respond to the Gospel and experience a loving and safe family of believers who serve as staff. All of our qualified staff volunteer their time to serve, but all staff go through an application process which includes passing a background check. Two thirds of our staff come from Alaska and one third of our volunteers come from the Lower 48 states. God speaks to campers and staff alike at camp and every year hearts are transformed by the power of God's redeeming love. Each year campers have a blast and many enter into new life in Christ for the first time, recommit themselves to serving the Lord, experience healing, repentance, forgiveness, and joy. Please explore the website to learn more about this exciting ministry and how you can get involved.